Inflammation is the root of most health problems. So, if you want to prevent heart disease, diabetes, cancer, or arthritis, you should start by combating inflammation. By increasing your intake of anti-inflammatory foods, you can not only treat existing issues but also prevent them altogether. In this post, we have listed the top anti-inflammatory foods that help you do just that. Keep reading. What’s With Inflammation? Is It That Serious? What Are The Top Anti-Inflammatory Foods? Firstly, it is important to understand that inflammation by itself is not a bad thing. It is a natural bodily response to injury or illness, where the immune system hops into action and directs its army of white blood cells to the affected areas through increased blood flow. Due to this increased attention to the affected areas, there would be swelling, pain, redness, heat or discomfort. Like, for example, the cut that you have got turns red and puffy – that’s inflammation. And it is a healthy response that aids healing. But when the immune system overreaches and starts attacking the healthy tissues as well, that’s the kind of inflammation you don’t want. And that’s the kind of inflammation that forms the foundation of misery and pain. So, yes, inflammation is serious, people. And research says that the typical Western Diet is the hotbed for inflammation (1). What you consume on a regular basis, probably, is resulting in dangerous levels of inflammation (2). And you must do something about it. Right now. The first step towards that is filling your plate with the most powerful anti-inflammatory foods. 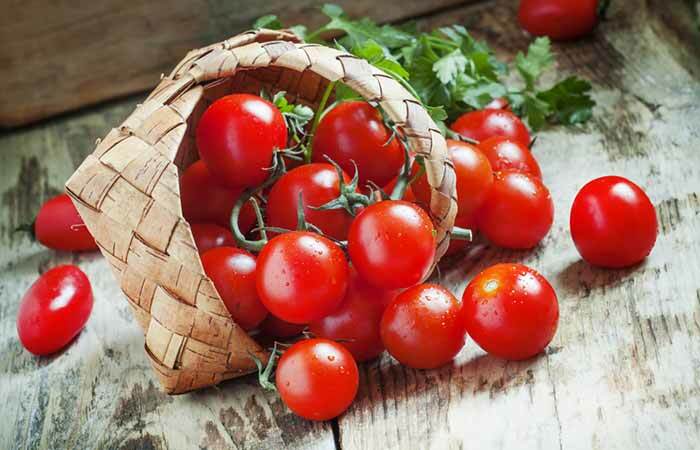 The tomatoes in your kitchen are rich in lycopene, an antioxidant found to fight inflammation. In fact, cooked tomatoes offer more lycopene than raw ones. One Iranian study talks about how tomato juice can reduce systemic inflammation (3). These include kale, spinach, Swiss chard, bok choy, celery, and broccoli. According to Harvard Medical School, green veggies are high in natural antioxidants and polyphenols, which can help combat inflammation (4). These veggies are also rich in flavonoids that restore cellular health. In fact, some of these veggies are replete with carotenoids – antioxidants that might cut the risk of cancer (5). Their characteristic red color is the key here. These plant pigments, called betalains, help fight inflammation and prevent cancer and heart disease. The folate and fiber in beets also have anti-inflammatory properties. Studies showed how beetroot supplementation could prevent inflammation and the associated oxidative stress and cognitive decline (6). Red peppers are rich in capsaicin, a chemical known to fight inflammation (7). They are also high in other antioxidants that cut inflammation risk. Note: Peppers, in general, also contain solanine that was found to cause inflammation – as per research (8). Hence, please consult your doctor before using peppers (and red peppers especially) for treating inflammation. Studies show how the anti-inflammatory properties of garlic can help prevent tumors (9). Another study talks about thiacremonone, a powerful compound isolated from garlic that can help reduce joint pains due to inflammation (10). Garlic also contains diallyl disulfide, an anti-inflammatory compound that helps fight the inflammation, pain, and cartilage damage so often associated with arthritis (11). The curcumin in turmeric blocks inflammatory cytokines and enzymes, and this can help combat inflammation (12). Studies have also shown how turmeric can prevent joint inflammation altogether. In fact, curcumin is so effective that it catches up with some anti-inflammatory drugs. One study by the University of Miami concluded that ginger could be a substitute for nonsteroidal anti-inflammatory drugs (13). 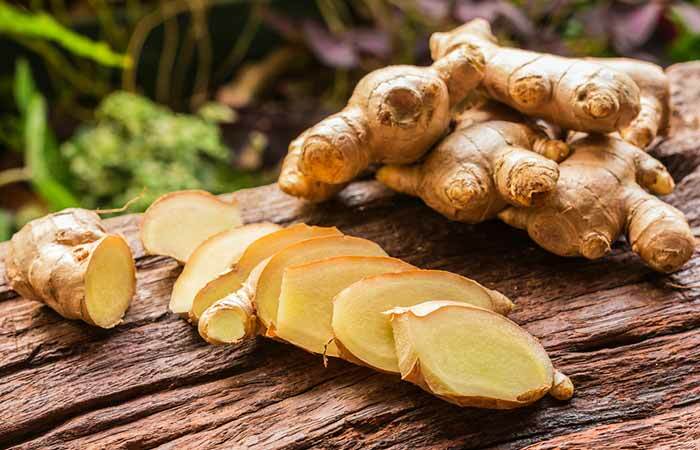 The antioxidant and anticancer properties of ginger also boost your immunity and fight inflammatory diseases like cancer. Studies have shown that the anti-inflammatory properties of cinnamon can especially ease swelling. And one Malaysian study shows how the antioxidants in cinnamon can contribute to its anti-inflammatory activity (14). The leaves suppress inflammatory enzymes and other proteins in the body, and this can lower inflammation in the cells. Even moringa leaf juice can work wonders. The leaves also fight free radicals, thereby curbing inflammation (15). In addition to being rich in vitamin C, pineapple also contains bromelain. Bromelain is a natural anti-inflammatory agent and controls swelling, bruising, and pain. Bromelain also contains immune-modulating properties – which means it regulates the immune system and prevents it from overreaching and causing inflammation (16). These include strawberries, blueberries, raspberries, and blackberries. These are packed with proanthocyanidins and ellagic acid, powerful compounds that fight inflammation and prevent cell damage (17). Cherries can reduce inflammation. In fact, some sources say that they even fight inflammatory arthritis and gout (18). Cherries also contain anthocyanins, powerful antioxidants that combat inflammation. Thanks to the vitamin C content, oranges (and other orange-colored fruits like nectarines) can help fight inflammation. 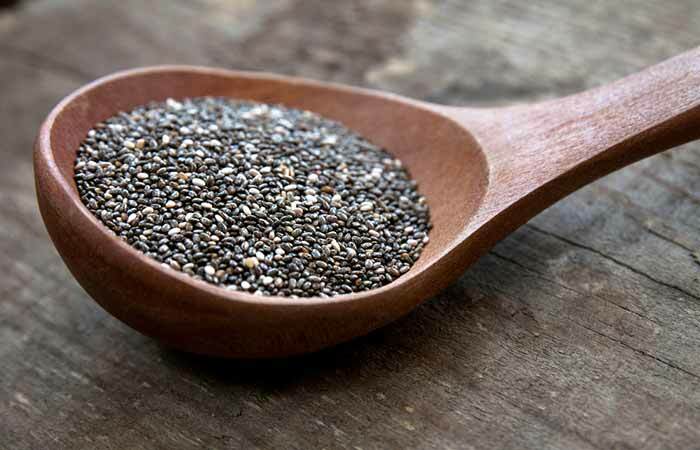 Chia seeds are rich in omega-3s that work wonderfully well in fighting inflammation. More importantly, they are vegan and gluten-free and can be added to literally any recipe. Almonds are rich in polyunsaturated and monounsaturated fats and contain very little saturated fat. This makes them quite a good option to take to fight inflammation. Almonds also are one of the best sources of vitamin E, a potent antioxidant that fights inflammation. They are also chock-full of magnesium, a mineral known to fight inflammation. Walnuts are another variety of nuts replete with omega-3 fatty acids. Which is why these nuts can work wonders in treating arthritis symptoms (19). They are also rich in fiber, which is another essential nutrient that fights inflammation. Replete with phytonutrients, black beans play an important role in fighting inflammation. They also contain quercetin, another powerful antioxidant that treats inflammation, according to lab studies. Flax seeds are the richest plant sources of omega-3 fatty acids. These fatty acids are known to reduce pro-inflammatory markers. But we recommend you take your flax seeds ground as most omega-3s are contained in the fibrous shell of the seeds, which we humans cannot easily digest (20). Salmon is one of the richest sources of omega-3s on the planet. And we don’t have to reiterate the importance of these fatty acids in preventing inflammation. The same goes for tuna, mackerel, and sardines. Taking these fish 2 to 4 times a week (3 to 6 ounce servings) can help lower inflammation. In addition to the inflammation-quelling omega-3s, oysters are also rich in zinc, copper, and manganese. These three minerals help deactivate free radicals, thereby cutting inflammation risk. 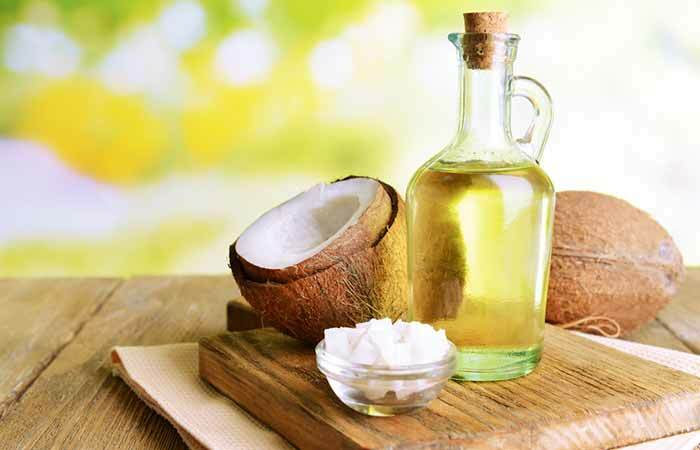 In one Indian study, the antioxidants in virgin coconut oil had helped reduce inflammation and arthritis symptoms more effectively than conventional medications (21). The oil also contains lauric acid, another important compound that fights inflammation. Olive oil is rich in oleic acid, which is known to fight inflammation (22). The oil also contains other antioxidants that help in this process – the most potent of them being oleocanthal, which was found to be as effective as certain anti-inflammatory drugs (23). Brown rice contains essential nutrients like magnesium, dietary fiber, and other essential fatty acids – all of which help combat inflammation (24). Quinoa contains phytochemicals that help fight inflammation (25). It also contains saponins, other important compounds known to prevent inflammation. The Arthritis Foundation considers millet an ideal alternative to rice, especially to reduce inflammation (26). Millet also contains polyphenols in its inner shell, which is another set of compounds important for inflammation. The antioxidants found in oolong tea target certain genes (that cause inflammation) and reduce their activity (27). Research talks about EGCG, an important substance in green tea that can fight inflammation and even halt the progression of arthritis (28). Research has shown that white tea can reduce the activity of certain enzymes that might cause inflammation (29). Dark chocolate is packed with antioxidants that reduce inflammation (30). Studies show this can help cut the risk of cardiovascular disease as well. Bone broth contains glucosamine, which is known to fight inflammation. This even helps arthritis patients by stimulating new collagen, repairing damaged joints, and reducing pain. That’s with the long list of foods that can fight inflammation and make your life better and healthier. But wait, how else can you reduce inflammation and start leading a healthy lifestyle? Any habits that might help? Consume a minimum of nine servings of fruits and veggies a day. Half a cup of cooked fruits or veggies or one whole cup of raw fruits or veggies – that’s one serving. Taking high-quality nutritional supplements can be a good idea. Limit saturated fat to 10% of your daily calories. This translates to about 20 grams for every 2,000 calories. Limit red meat also to once a week. Have fish thrice a week. The omega-3s work wonders. Choose healthy snacks. These can include nuts like pistachios, almonds, walnuts, and Greek yogurt. Avoid refined sugars and processed foods. These include anything containing high fructose corn syrup or high levels of sodium. Chuck the trans fats too. Be smart while sweetening your food. You can add fruits to sweeten your food. And you can also flavor your food with spices. Exercise regularly. This is non-negotiable. Quit smoking. Yes. And reduce alcohol intake (or best, quit it). And there’s something else more important. Reducing inflammation requires you to consume anti-inflammatory foods and avoid inflammatory ones. Simply put, refined sugars and carbs cause inflammation as they are excessively high in omega-6 fatty acids. The typical American diet is found to contain about 25 times more omega-6s than omega-3s. Inflammation is serious and can lead to irreparable damage if not controlled. But worry not – including these foods in your diet can help do just that! Stop inflammation in its track. Stay healthy. Stay happy. 1. “Role of “Western Diet” in inflammatory…”. US National Library of Medicine. 2. “Fast food fever…”. US National Library of Medicine. 3. “Tomato juice consumption reduces…”. US National Library of Medicine. 4. 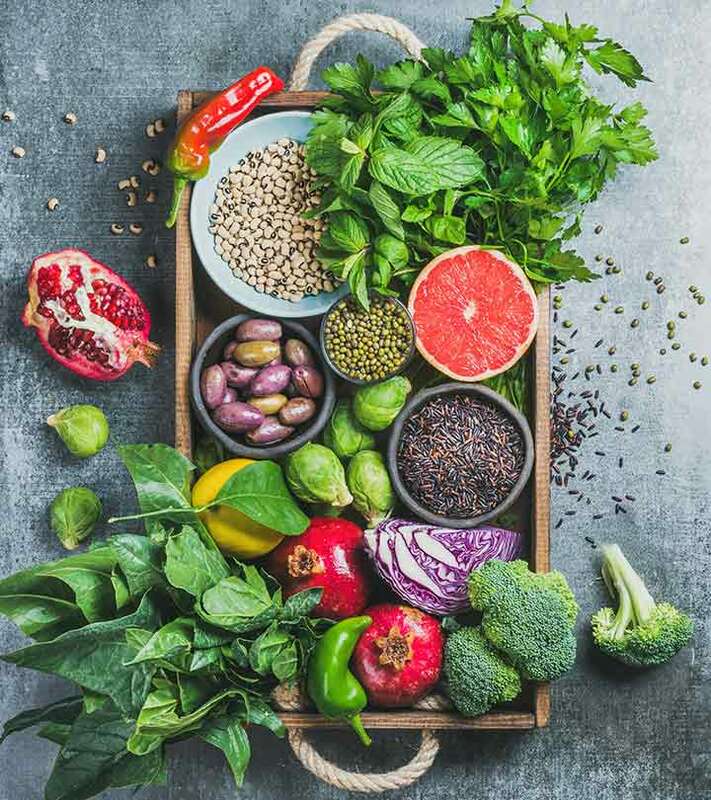 “Foods that fight inflammation”. Harvard Medical School. 5. “Dark green leafy vegetables”. United States Department of Agriculture. 6. “The potential benefits of red beetroot…”. United States Department of Agriculture. 7. “The 7 best foods for fighting inflammation”. TIME. 8. “The ultimate arthritis diet”. Arthritis Foundation. 9. “The immunomodulation and…”. US National Library of Medicine. 10. “Anti-inflammatory and arthritic…”. Arthritis Research and Therapy. 11. “Best spices for arthritis”. Arthritis Foundation. 13. “Health benefits of ginger fohttp://blog.arthritis.org/living-with-arthritis/arthritis-diet-cherries/r arthritis”. Arthritis Foundation. 14. “Cinnamon: A multifaceted…”. US National Library of Medicine. 15. “Anti-inflammatory and antioxidant…”. ScienceDirect. 16. “Placebo-controlled randomized…”. US National Library of Medicine. 17. “Berries: anti-inflammatory effects…”. US National Library of Medicine. 18. “How cherries help fight arthritis”. Arthritis Foundation. 19. “Health benefits of walnuts”. Arthritis Foundation. 20. 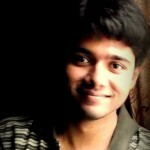 “Bioavailability of alpha…”. US National Library of Medicine. 21. “Polyphenolics isolated from virgin…”. US National Library of Medicine. 22. “Dietary factors that promote or…”. Professional Heart Daily. 23. “Molecular mechanisms of inflammation…”. US National Library of Medicine. 24. “Effect of brown rice consumption…”. US National Library of Medicine. 25. 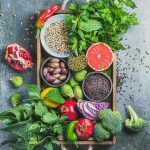 “Phytochemicals in quinoa and amaranth…”. US National Library of Medicine. 26. “Best grains for arthritis”. Arthritis Foundation. 27. “A genome-wide microarray highlights…”. US National Library of Medicine. 28. “Fight inflammation with a cup of tea”. Arthritis Foundation. 29. 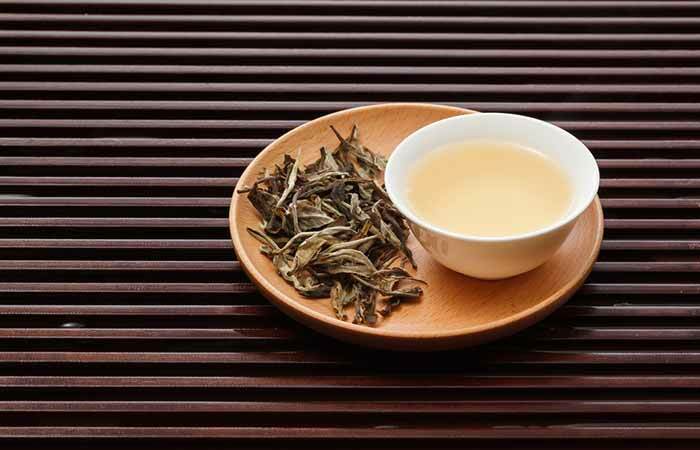 “White tea could keep you healthy…”. ScienceDaily.